Say goodbye to summer, the witching season is upon us! Whether you’re celebrating Halloween by dressing up in scary costumes or just having a cosy evening in, you can look forward to adding some autumnal touches to your home. With help from Neff, we’ve put together three ideas to help you create a creepy Halloween kitchen and make the day a spine-chilling success. Setup a Halloween table arrangement in your kitchen by adding pumpkins, spider webs and candles. You could even make your own bunting in the shape of bats or skeletons. We’re not afraid to indulge in some yummy Halloween recipes. 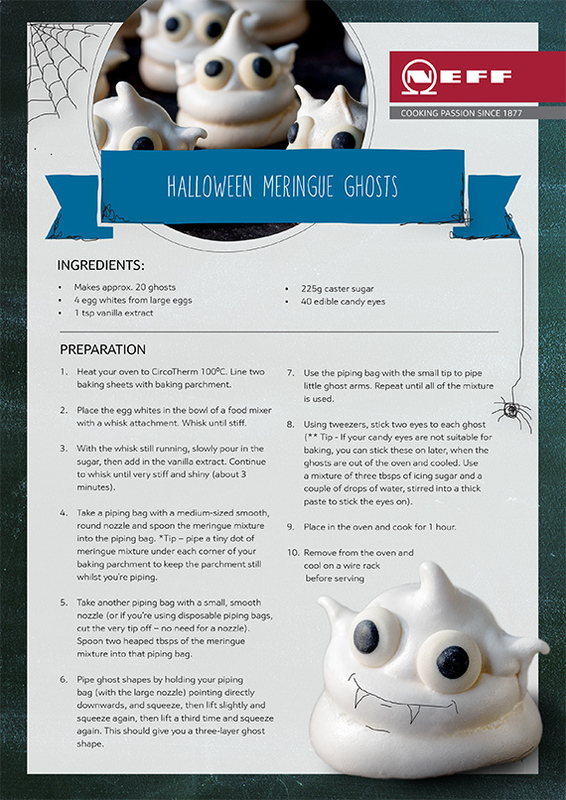 These ghoulish ghost meringues make a great Halloween treat – so get baking! This meringue recipe uses Neff’s unique CircoTherm technology, ideal for foods which require a crispy underside. 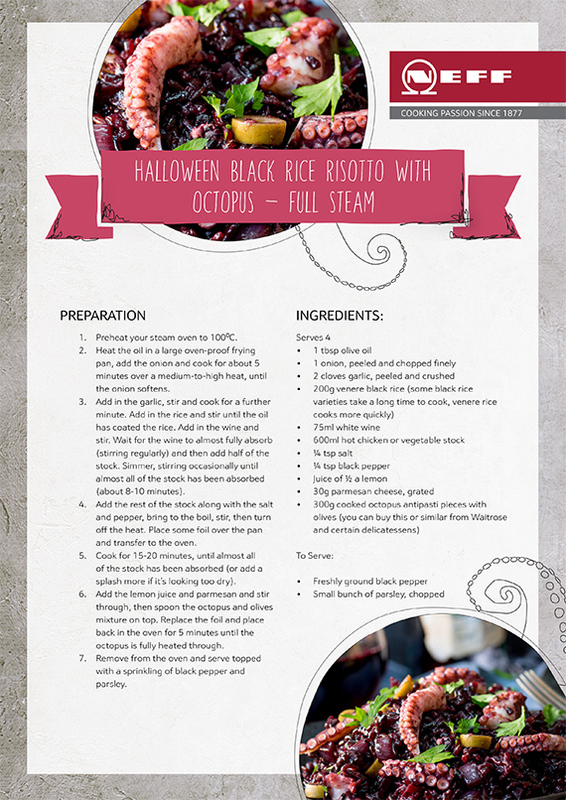 Or if you fancy a strangely delightful alternative, this black rice risotto with octopus is definitely worth a try - discover the recipe here! Our much-loved Halloween activity is pumpkin carving! Get creative and have fun designing a Halloween masterpiece. If you have a farmhouse kitchen sink in your kitchen, we recommend apple bobbing! This old favourite is a great way to get the whole family involved in celebrating Halloween. Have you been inspired to decorate or love the sound of these fearsomely tasty recipes? Browse our wide range of Neff ovens, dust off your rolling pin and put your culinary skills to the test!